There’s many steps and tasks to starting a home business. So many that it can seem overwhelming. But like eating the proverbial elephant, starting a home business just requires taking it one bite at a time. Here is a step-by-step guide to getting your business up and running in the next 30 days, delivered in 4 one-week installments. During this first week, you’ll be research, planning and beginning the initial steps to launching your business. During the second week, you’ll be putting your business foundation in place. The last two weeks will be about marketing and delivering great products and services. Day 1: Decide what business to start. This may actually require more time than a day because besides being an idea that appeals to you, your business should be a financially viable idea and that requires research. Factors to consider are whether or not you can commit to the business over the long term, financial needs to get started, and whether or not there is a market ready, willing and able to buy. Day 2: Create your vision and goals. Too many people jump into home business without a clear idea of where they’re going. They want success, but haven’t defined what that success looks like. 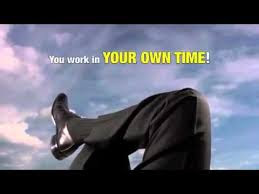 Will your home business always be part-time or will it grow to full-time allowing you to quit your job? Are you hoping to make your business portable so you can travel? Do you want to pay off debt or get rich? Imagine your business has achieved success, what does that look like? Day 3: Run the numbers. 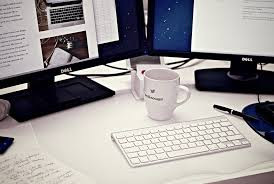 While you can start a home business for next to nothing, money is involved and not getting a good grasp of where you are now financially and what it will take to run and grow your business can lead to failure. Lack of money is one of the top reasons businesses fail. Numbers to consider are your current financial state, what it will take to launch and build the business, your financial goals, and how much business (sales, clients, etc) is needed to achieve that goal. This is also the time to determine pricing to insure you’re charging enough to cover your expenses and earn a profit. Day 4: Identify your target market. You’ll achieve greater success at less expense by selling directly to your target market, who are the people who want, need and are able to pay for what you’ve got. Day 5: Develop your USP. Odds are you’re not providing something completely new, which means you have to find a way to set yourself apart from your competition. When developing your unique selling proposition (USP), focus on the benefits your clients or customers will receive by using your product or services. Day 6: Create a business name. Your business name should represent what you offer without being so narrow that you can’t expand your business later. Your business will become a representation of your brand, so some care should be taken when creating it. Make sure it’s not already taken or trademarked. Also, check that you can buy the domain name, and if it’s available, buy it. Day 7: Make a business plan. Using what you’ve done so far, put everything in a single business plan. Even if you don’t plan to ask for start up money, a business plan acts as a road map guiding you toward your goal. If you've completed the first week, move on to week two of starting your home business, where you'll put in the foundation and officially start your home business.